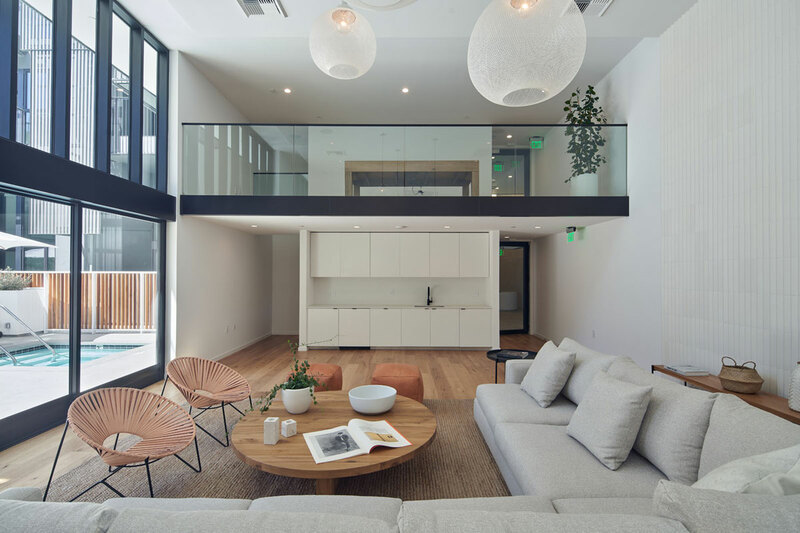 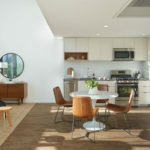 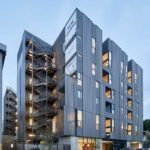 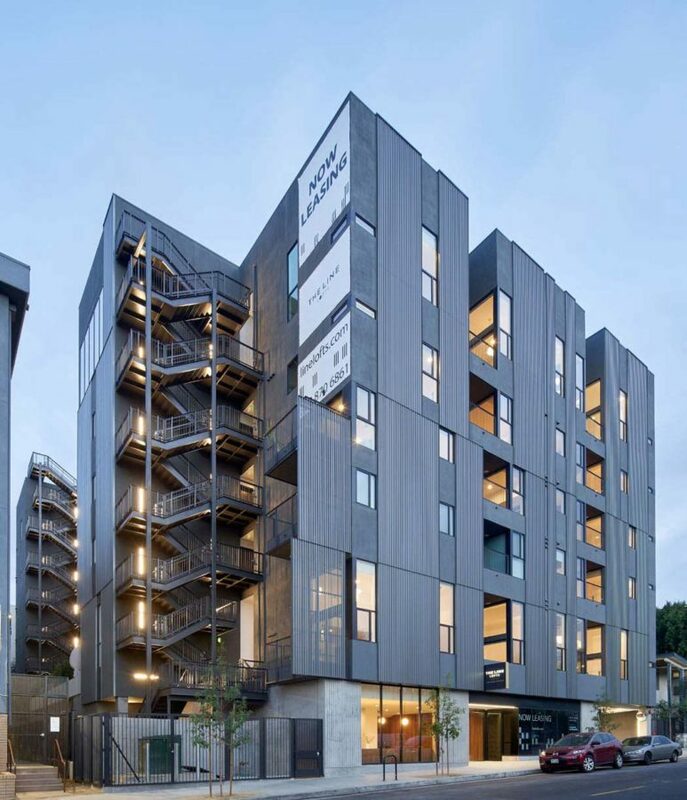 Located near Hollywood and Highland, Line Lofts is a 6-story residential building with a sleek contemporary shape that is redefining the look of multifamily developments. 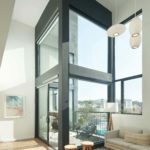 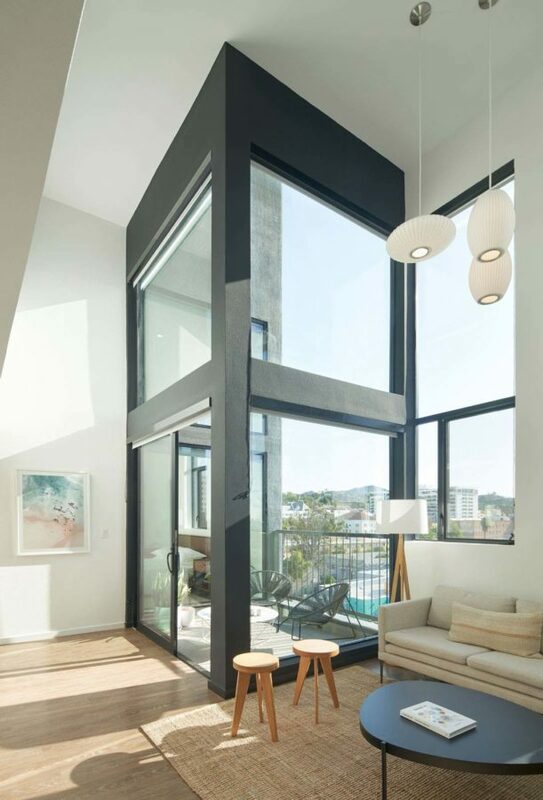 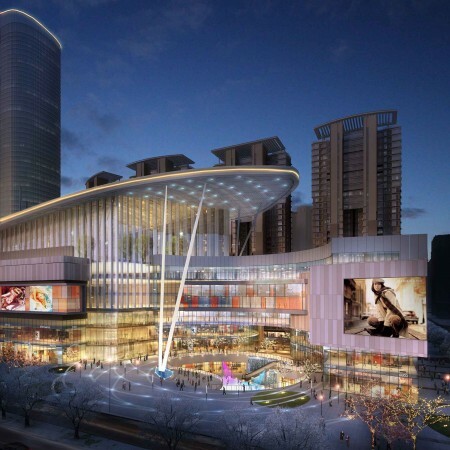 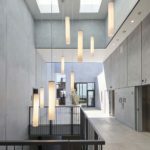 Innovative design highlights include an exterior stairway freeing up space inside and vertical multi-floor connections allowing the interior courtyard to flow into the upper-level deck. 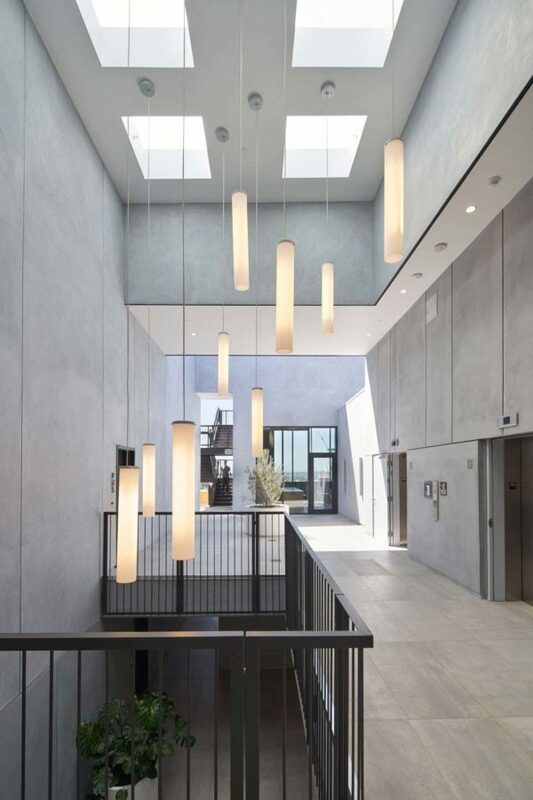 The lobby illuminated by recessed direct downlights at doors also showcases an array of cylinders mounted at different heights to provide not only a decorative element to the space but also soft illumination. 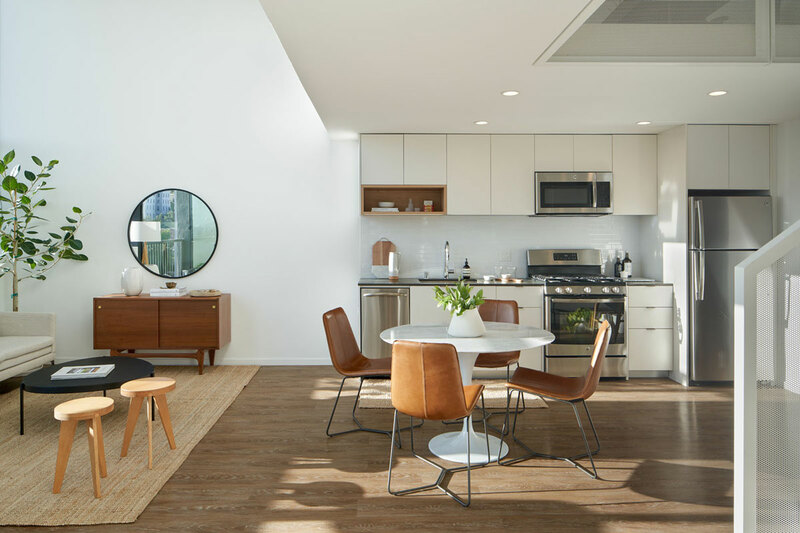 The lofts themselves feature a combination of recessed direct light and decorative pendants strategically placed to not illuminate seating areas below but to also be visible from the exterior.